1. Avoid products with fragrance or alcohol. Layering them a few times might give your skin irritation. I suggest you to use a hydrating type toner compared to other types. 2. Choosing the right consistency is important. Using a toner that is too rich may cause discomfort as they'll get too sticky when applied more than once. 3. Let the product get absorbed first before applying the next layer! I like to gently pat and press them dry. 4. You don't need to apply it seven times. Choose the number that feels right for you. Personally, I tend to do it between 4-7 layers depending on my skin condition on that particular day. 5. Make sure your skin is all prepped before doing it. You'll end up wasting a lot of product if your face is not thoroughly cleaned beforehand. 6. You don't need to do it every day. As our skin can be so different from each other, find the best intervals that work for you! You might think that this routine is a bit extra, but believe me, in this case, it's good and it works. 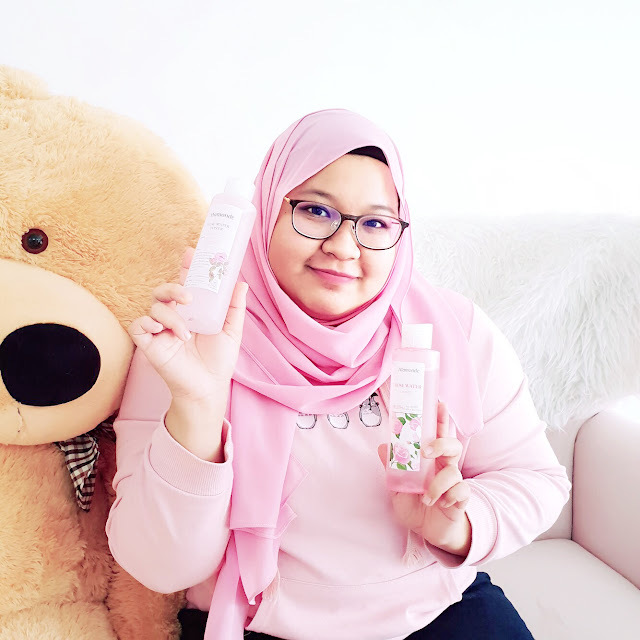 I've tried multiple types of toners while doing this routine and I find the Mamonde Rose Water Toner gives me the best result in terms of hydration, minus all of that heavy and sticky feeling some other toners gave me after the 4th or 5th layer. Oh, you can also use a watery type essence to do this method too! 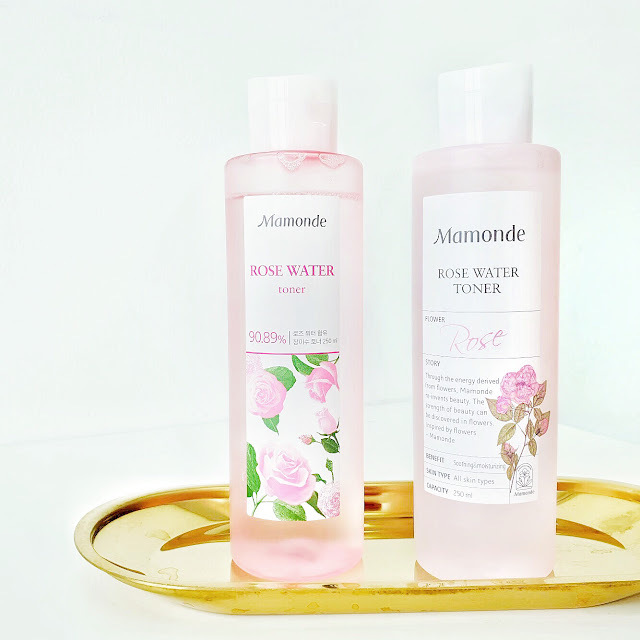 Why do I like the Mamonde Rose Water Toner? First of all, it smells amazing. I mean I love Rose scented everything so it's definitely one of my favourite thing about this toner. It is also light and not sticky at all. Although the ingredient list shows that it does contain fragrance, it does not irritate my slightly sensitive skin even while doing the layering. 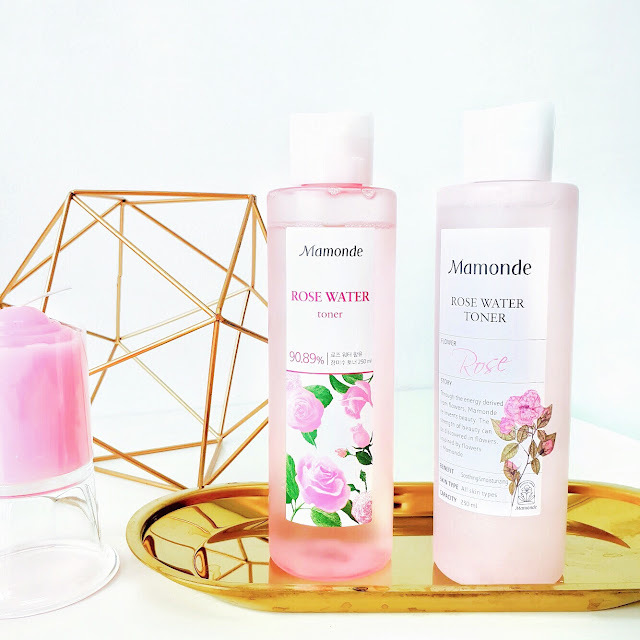 Both old and new Mamonde Rose Water is developed using the Damask Rose, but I do find that they contain a different concentration of rose water. The old version contains only 90.89% of rose water while the newer ones have a slightly higher concentration of 90.97%. So far, even with a slightly different percentage of rose water content in the formulation, I can't really notice any difference in terms of the result when using them. 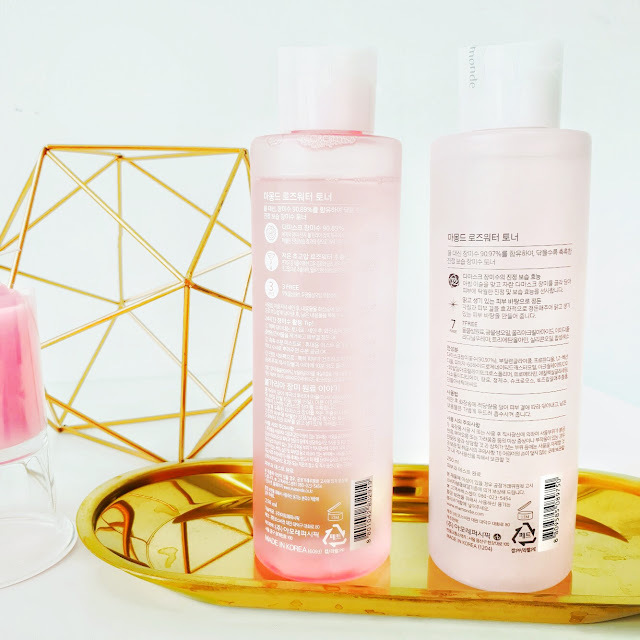 Other than the Damask Rose, this toner also contains Plum Blossom Extract to give your skin a natural glow and helps prevent premature ageing. It is also formulated with Sacred Lotus Extract which is also great for moisturising as well as rich in anti-oxidant. As much as I love this toner, I would also say that it is pretty basic. Of course, 'basic' doesn't mean that its bad but if you are looking for something extra other than being hydrating and soothing, there are other options you might want to consider on but if you are looking for something that complements other skincare well and gives your skin good moisturisation, this is a good choice. 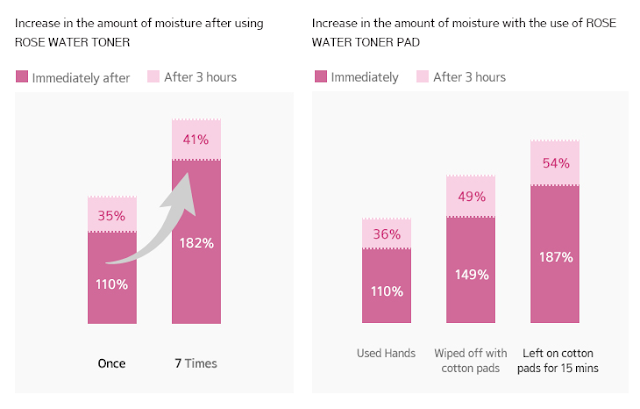 While doing extra research about this product, I also find this study on the effectiveness of the Mamonde Rose Water in term of hydration on their website. 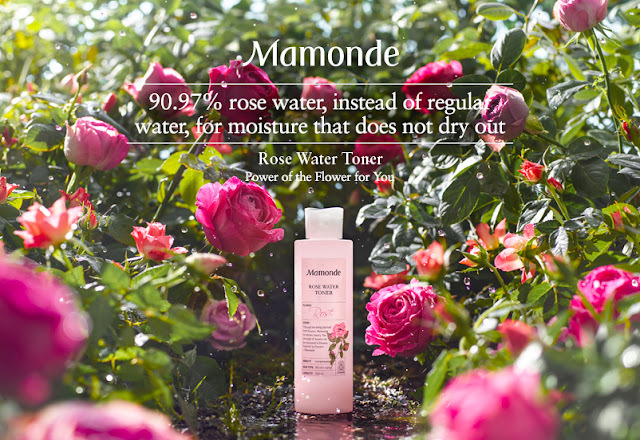 The Mamonde Rose Water Toner is also free of animal ingredients, mineral oil, polyacrylamide, imidazolidinyl urea, triethanolamine, silicone oil, and synthetic pigment. You can also use this product as a face mist, to blend your foundation, or when you are DIY-ing your own sheet mask. You can choose to apply it with a cotton pad or pat it dry with your hands. I prefer the latter. You can purchase it from Mamonde counters in Malaysia or via Althea. You can get 20% off your first order if you sign up using this link.